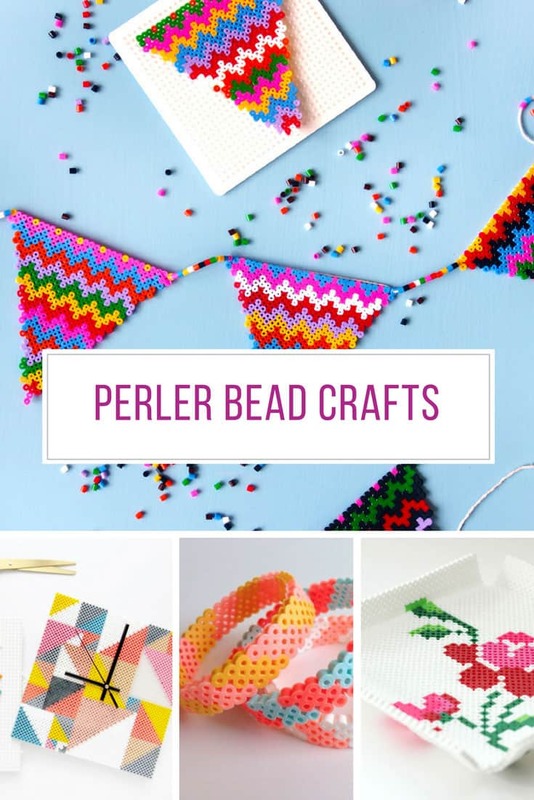 We love perler bead crafts and if you do to you are going to be super excited about this new collection. 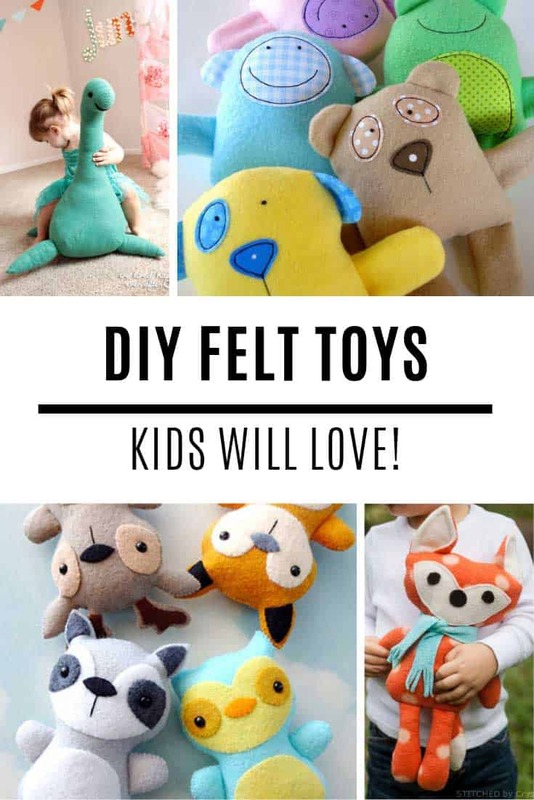 We’ve scoured the internet for the best plastic bead DIY projects we could find including some fabulous video tutorials! 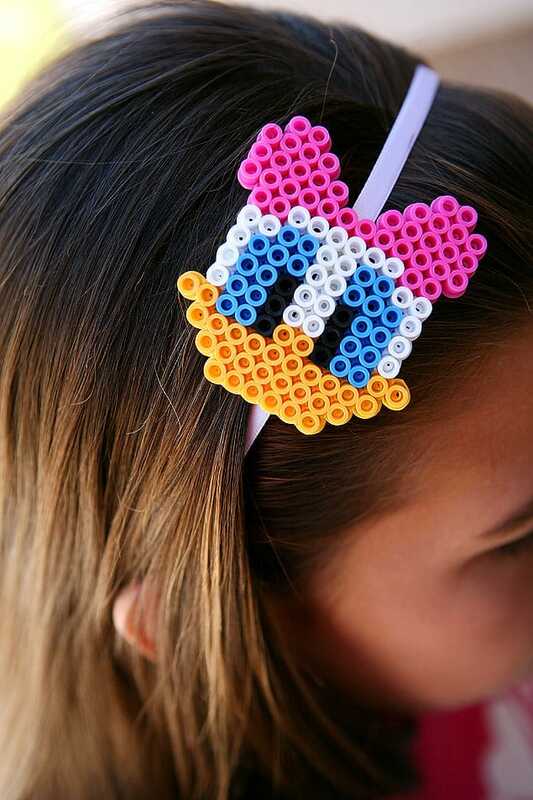 These would be perfect for your next Disney trip! The tutorial has a pattern for Donald and Daisy and shows you how to add them to a necklace or a headband. If your headphone cables are always getting in a tangled mess at the bottom of your bag you need to make one of these! 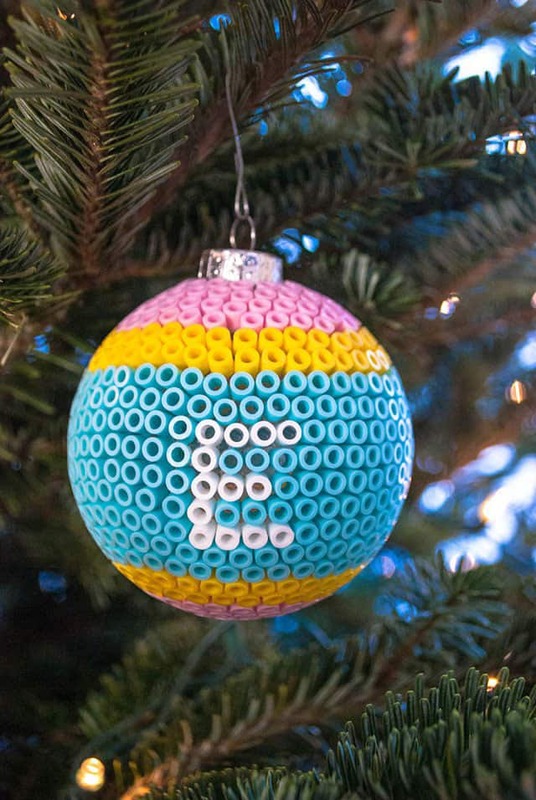 These perler bead Christmas ornaments are fabulous so make sure you pin this tutorial to your Holiday board! 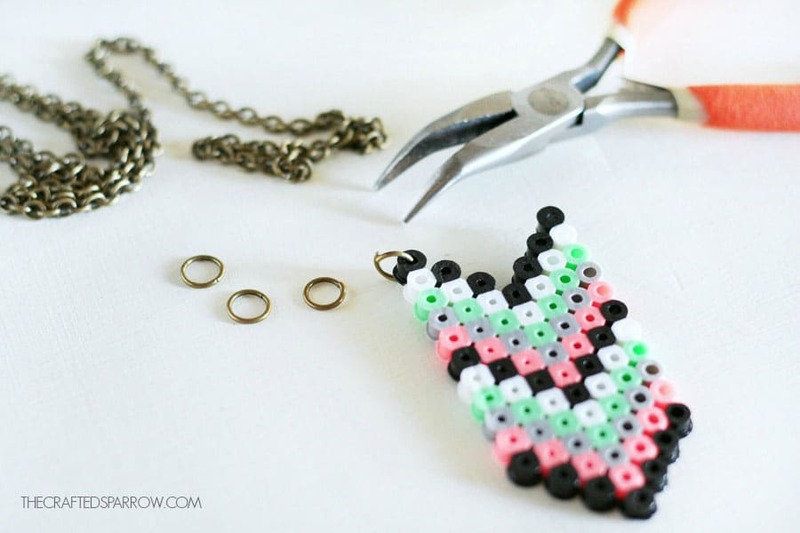 Make your headphone cord look bright and colourful with this perler bead craft. 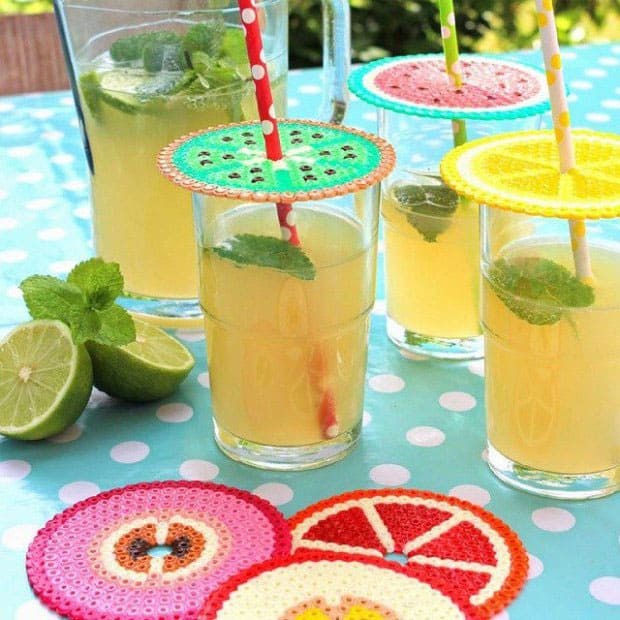 Let you imagination run wild designing a whole set of coasters. These little monograms are super cute and could be used as buttons, fridge magnets or even as a pendant on a necklace! These little perler bead fruits are adorable and perfect for keychains or bag charms. 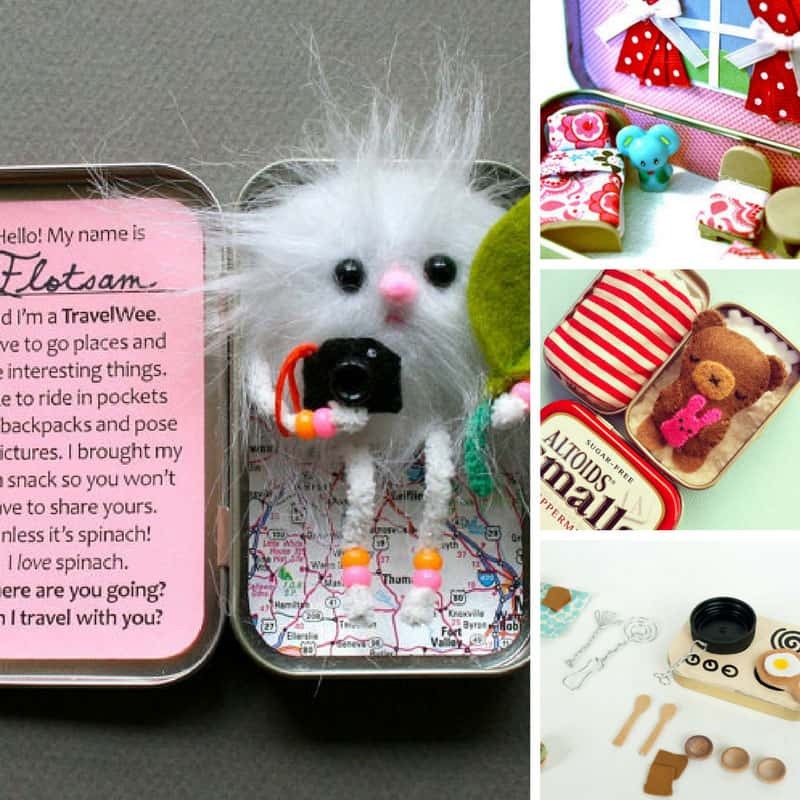 These trays are perfect for filling with candy, or even as a place to keep your rings and earrings safe. 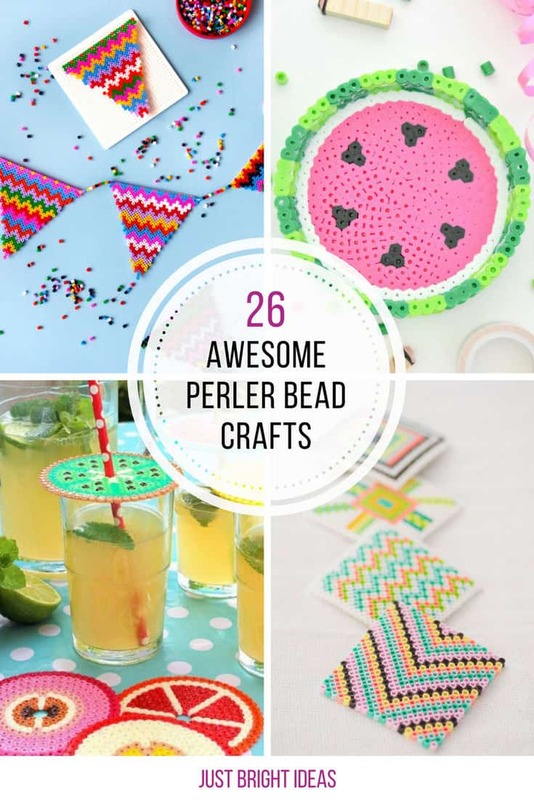 Need perler bead supplies? This is the ULTIMATE supplies list ==> Find out how to get the most beads for your buck! 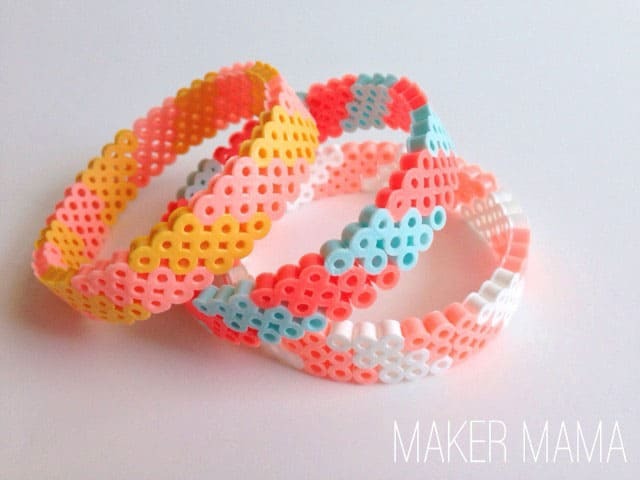 Once you make one of these bracelets you’ll be busy designing one to match every outfit in your closet! 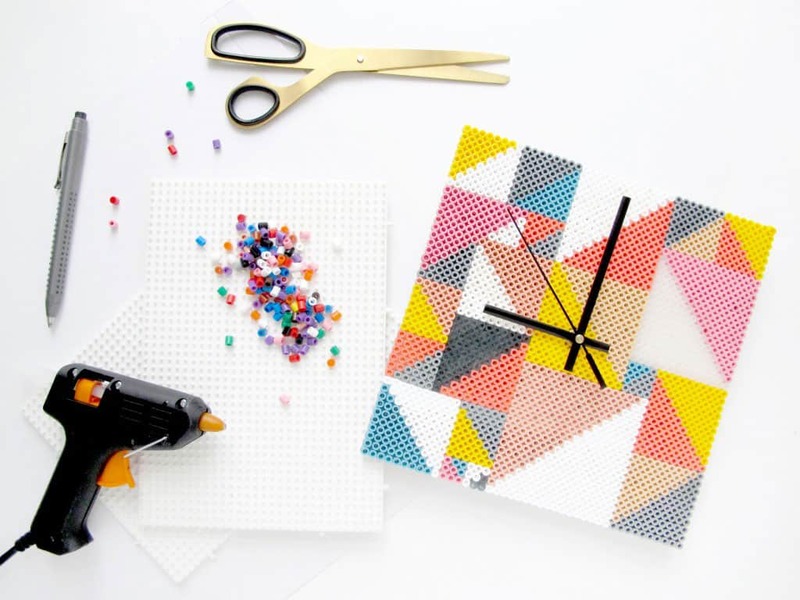 Why not make a clock using perler beads for the nursery or even as a house warming gift! You can get the clock fitting here. 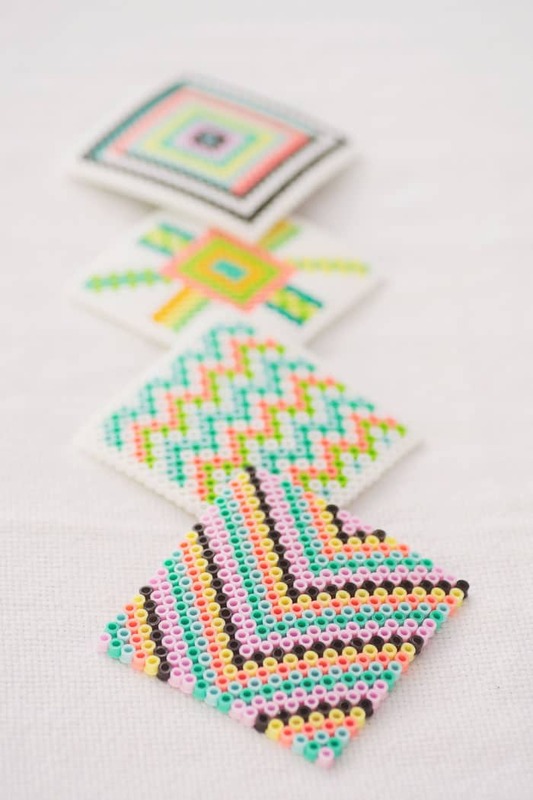 Here’s a perler bead craft to keep the kids out of mischief before they go back to school – weaving a new pencil case! How cute are these perler bead buttons! 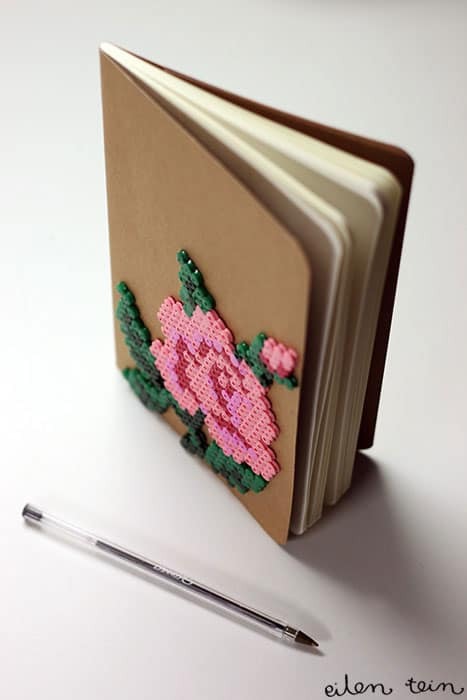 Here’s a fun way to decorate a plain notebook with your favourite bead design. The tutorial is in Finnish so be sure to hit the translate button at the top of the page. 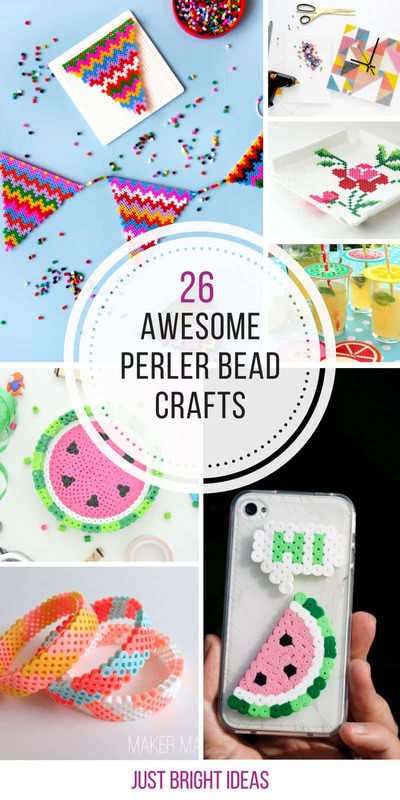 Here’s some perfect back to school Perler bead crafts you can do with the kids. 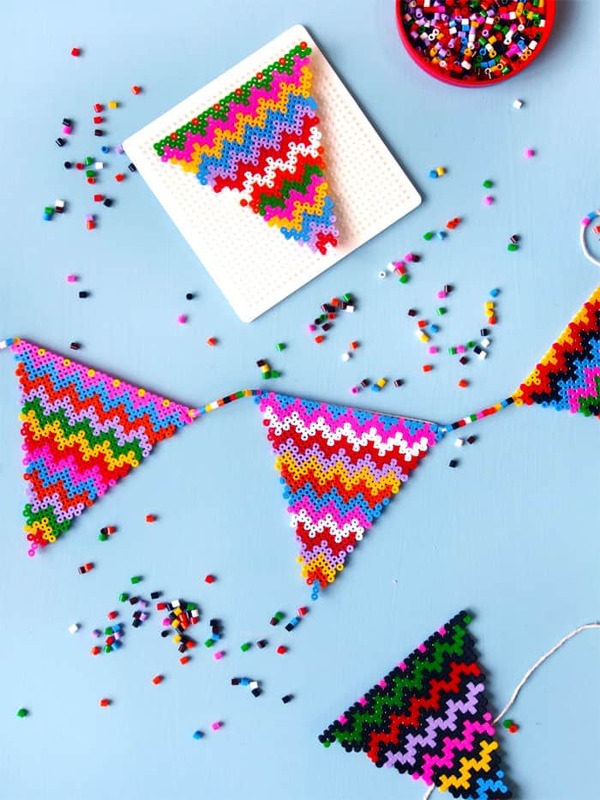 This fabulous bunting would be great for a nursery, a birthday party or just adding some fun decor to the playroom or even your office space! If you are a succulent fan then check out this video which shows you how to make the most fabulous geometric style planter. 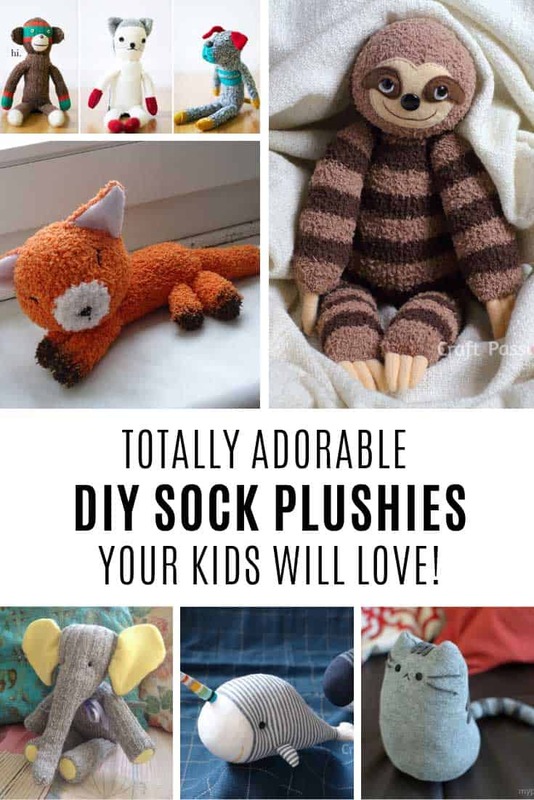 They’d make great teacher gifts too. 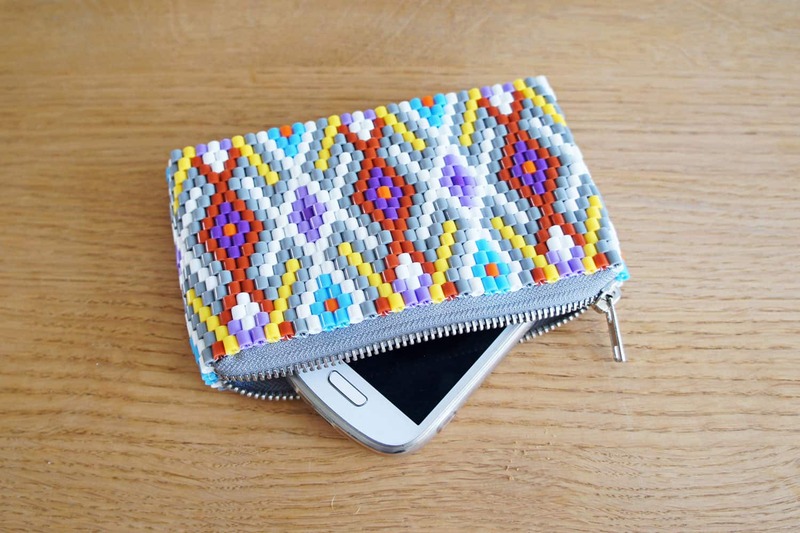 We love this idea for making a small clutch for your phone or makeup with beads. Make yourself a stunning chevron pattern necklace in colours to match your outfit. 7. 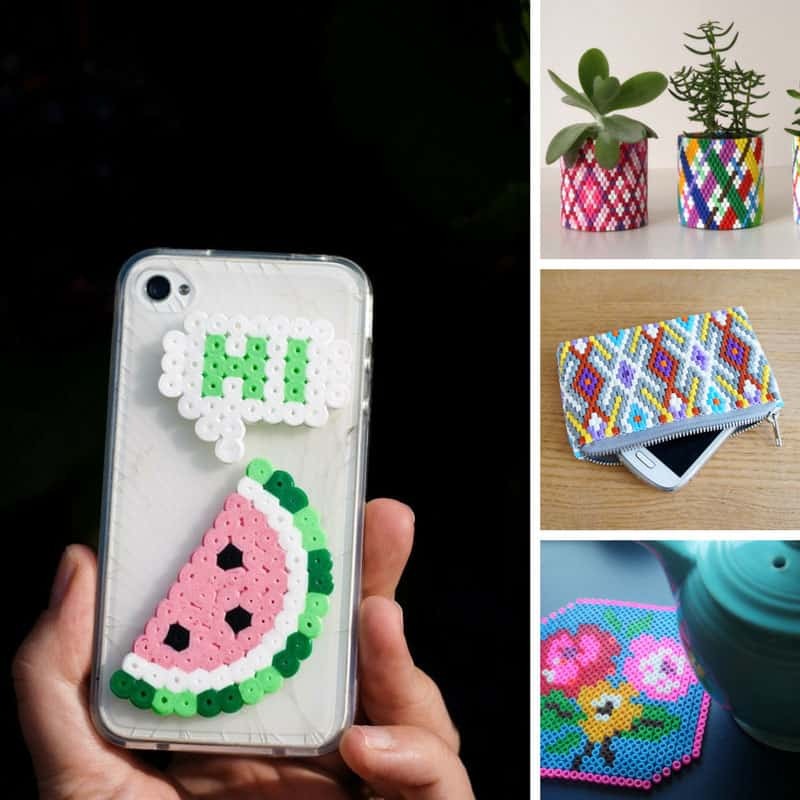 DIY Phone Cases made from Perler Beads! 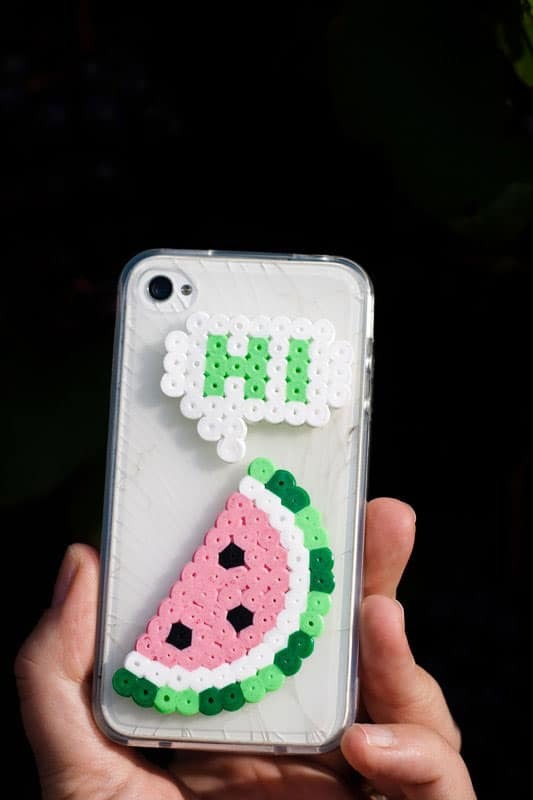 If you’re just not inspired by any of the phone cases available to buy why not make your own with your perler beads! 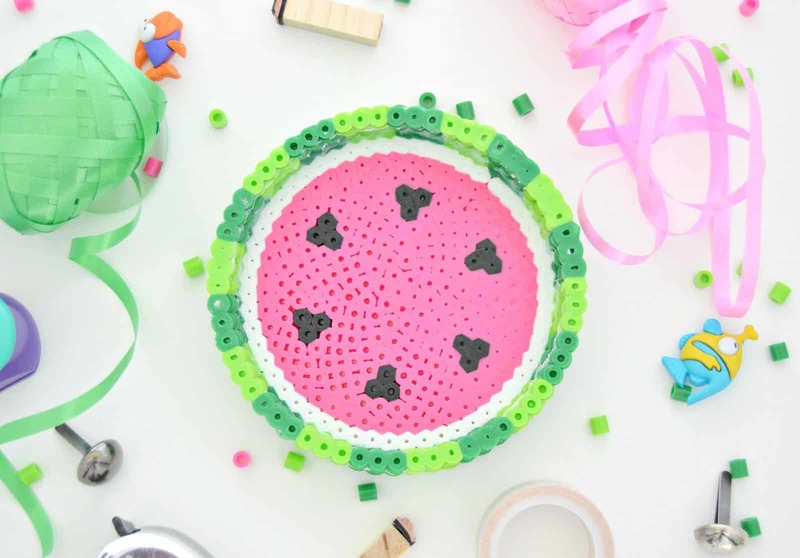 We LOVE this watermelon bowl because it’s so bright and cheeful! 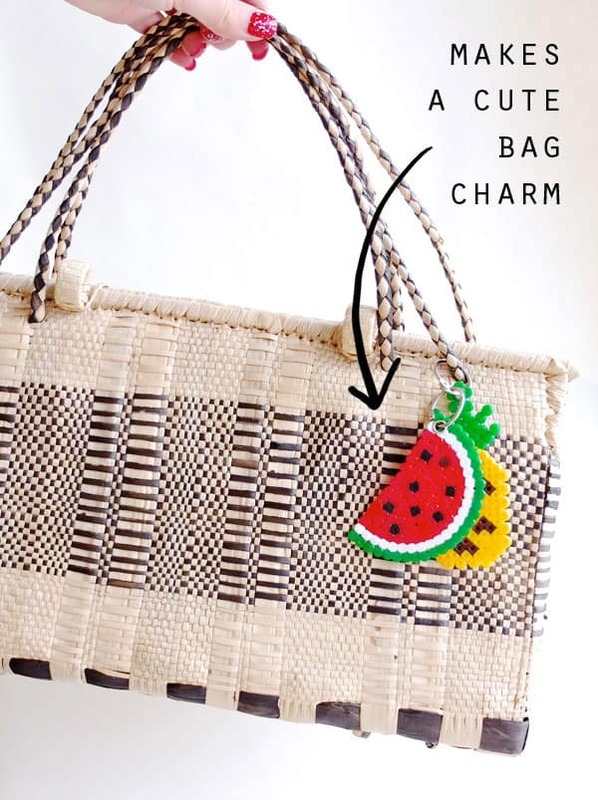 Use it for fruit, or stationery, or even jewellery. 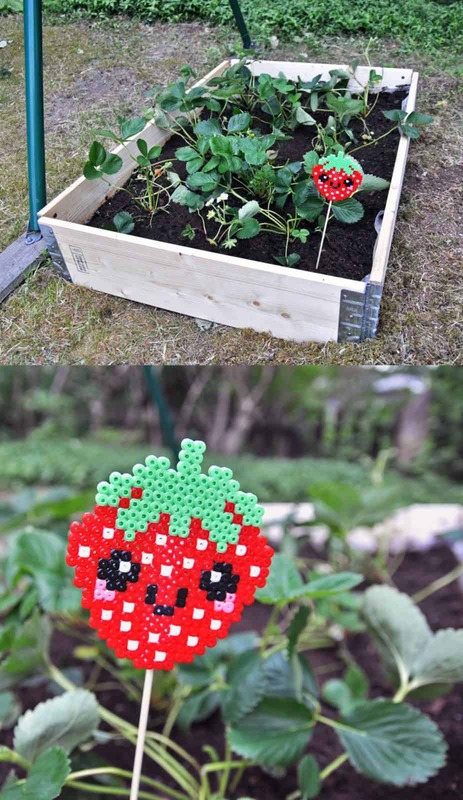 If you need some markers for your vegetable patch it’s time to break out the perler beads! 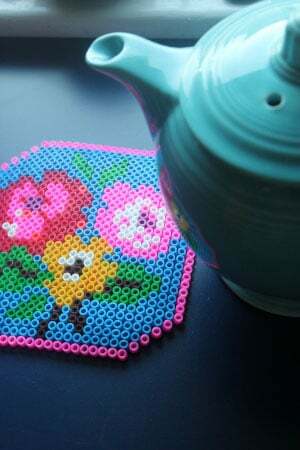 Did you know you can use your perler beads to make a handy trivet for your tea pot? And here’s an even better tip. 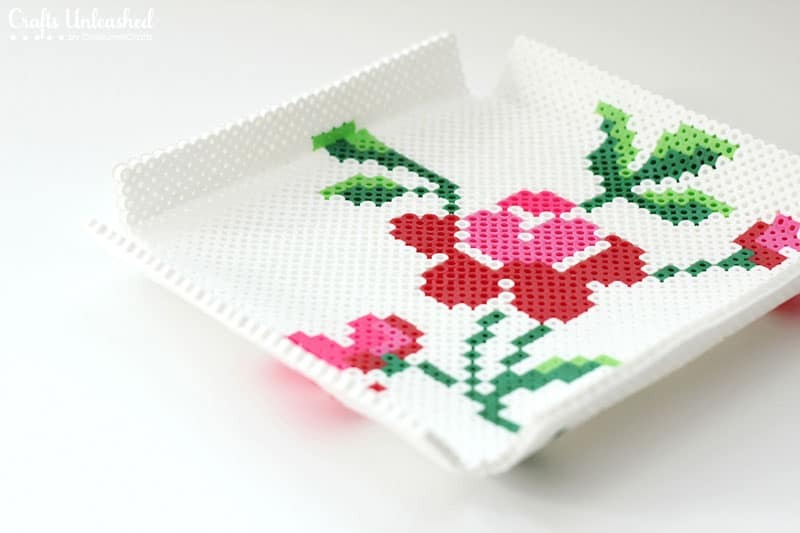 Use cross stitch patterns for your perler bead designs! If your desk is looking cluttered and you need a way to organize your stationery and pens check out this video tutorial that shows you how to make your own desk organizer from perler beads! 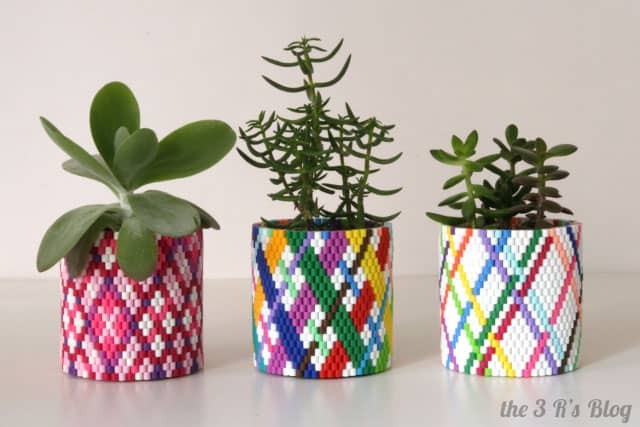 Take a cheap planter and turn it into something special by weaving a perler bead cover. 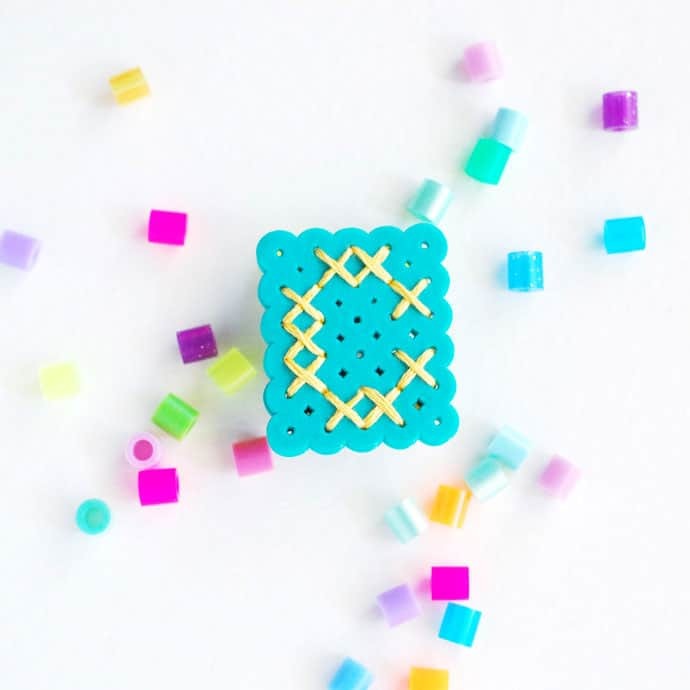 Use your favourite perler beads pattern to make a unique phone cover so you never get your phones muddled up again! Tell your friends! 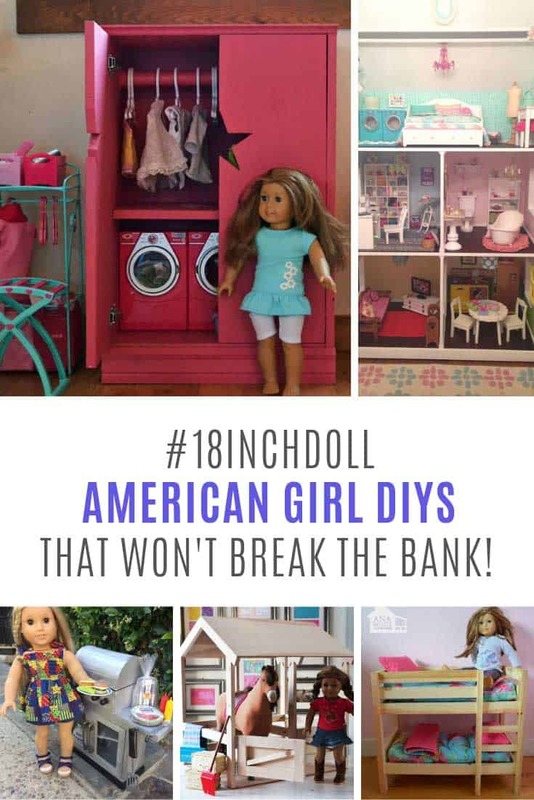 Click on the picture below to share this collection on Facebook!